Bolognese sauce known in Italian as ragù alla bolognese or ragù, is a meat-based sauce which has its origins in Bologna, Italy. It is commonly used as a sauce with the tagliatelle, a traditional pasta from Emilia-Romagna and Marche regions of Italy and to prepare 'lasagne alla bolognese'. Nowadays, there are many variations of the ragù sauce even among native Italian chefs and in the regional cooking of Italy, not to mention the increasing number of chefs outside Italy, who have been creating their own version of the ragù. Before we look at the different variations of this popular pasta sauce, let's look into its interesting origin and history. 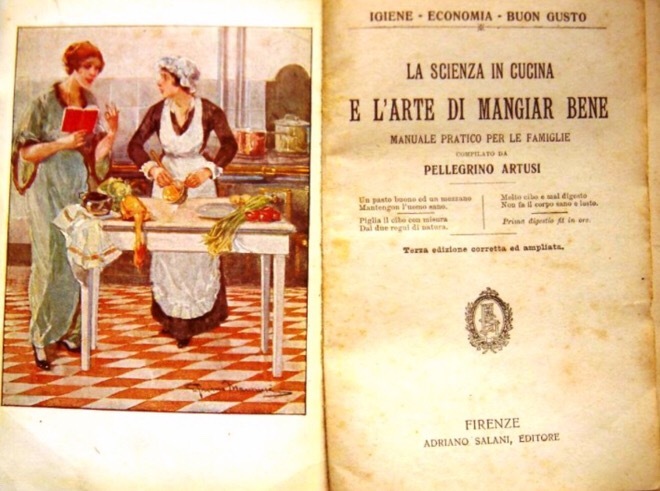 The first reference to the Bolognese meat-based recipe served with pasta appears in Pellegrino Artusi cookbook published in 1891, two decades after the unification of Italy. 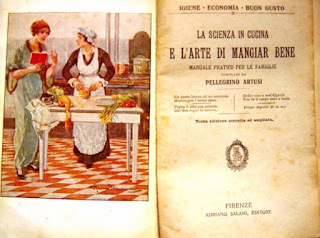 Artusi was the first to include recipes from all the different regions of Italy in a single cookbook titled 'La scienza in cucina e l'arte di mangiare bane' ('The Science of Cooking and the Art of Eating Well'). Pellegrino Artusi who spent a great deal of time in Bologna, wrote that, as a result of the climate of the region, the cuisine of Bologna is a bit rugged, but certainly wholesome and tasty. In Artusi's recipe, which he called 'Maccheroni alla bolognese' the sauce is made of lean veal filet along with pancetta (Italian bacon), butter, onion and carrot. The meats and vegetables were to be finely minced, cooked with butter until the meats browned, then covered and cooked with broth. Artusi also suggested adding mushrooms, besides half a glass of cream to the sauce when it was completely done, for a smoother taste. The sauce would be served with pasta along with some Parmesan cheese. Though a few things have changed in the modern recipe for the 'ragù alla bolognese', with the addition of white wine, milk and a small amount of tomato puree or concentrate, the most important aspect of the Bolognese ragù is its emphasis on the different meats as the principal ingredient while tomatoes, in one form or another, are only an auxiliary ingredient. Seasonings are very minimal in Bolognese, as typically only salt and pepper are used. 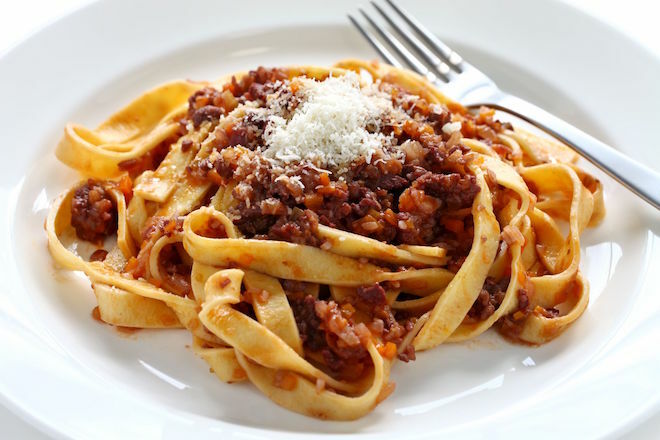 In Bologna, ragù alla bolognese is traditionally served with fresh tagliatelle made with eggs and soft wheat flour. 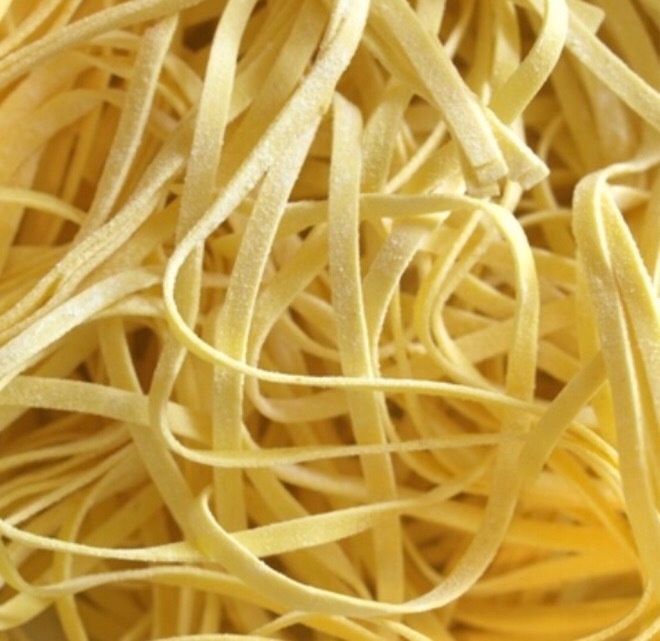 Individual pieces of tagliatelle are long, flat ribbons that are similar in shape to fettuccine. Other alternatives to tagliatelle include other broad flat pasta shapes, such as pappardelle or fettuccine, and tube shapes, such as rigatoni and penne. 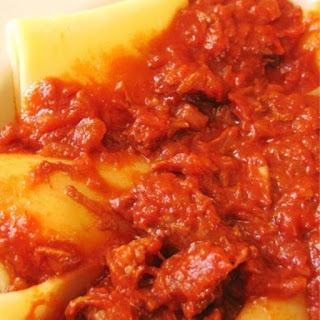 The fundamentals of cooking a traditional ragù is the preparation of the battuto and soffritto. The soffritto, which comes from the Italian verb, soffrigere, to saute, is the flavor base for many Italian dishes. The battuto, for the preparation of the ragù, usually refers to the raw base of finely chopped vegetables for the soffritto. It comes from the Italian verb battere, to beat / strike, a reference to the chopping of the ingredients on a cutting board. 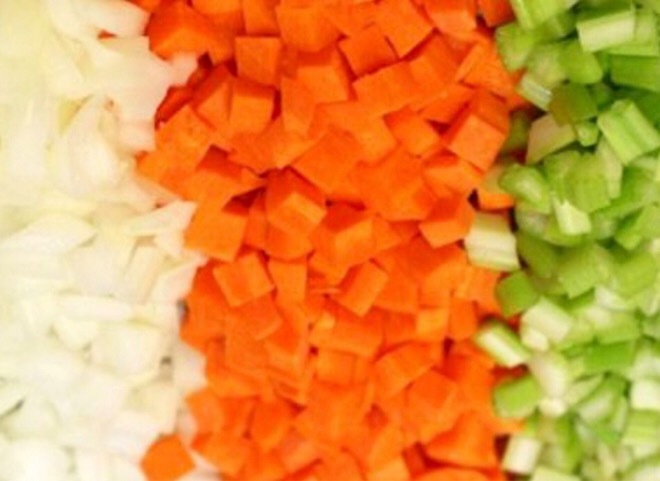 In the preparation of the ragù, the classic and most common soffritto is made of onion, celery and carrot. These three finely chopped ingredients, referred to as the battuto, are cooked over a gentle heat, in a little olive oil or butter, with frequent stirring, until they become soft and are practically melting or sweating. The onion turns transparent, the celery fragrant and the carrot seeps its color to the mixture creating a base flavor for the ragù. Sometimes a pancetta may be added to the soffritto. 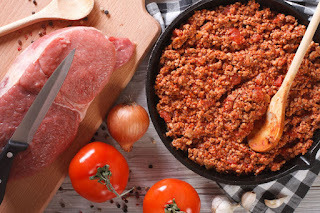 The recipe for the preparation of the ragù in other regions of Italy, would mostly differ in the proportion of tomatoes being used, choice and proportion of the meats (pork, beef or veal), choice of the cooking liquids (wine, milk or broth) and the herbs or spices added during cooking. An example is the ragù alla napoletana, which is a specialty of Naples. This ragù uses chunks of meat as compared to the finely chopped meat used in the Bolognese, while also using more onion in the soffritto. 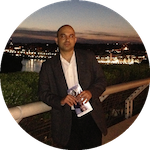 Additionally the Neapolitan ragù typically uses red wine, olive oil or lard instead of butter and lots of basil and tomato sauce in the flavor. Outside Italy, the sauce generally tends to be more tomato-based, with the addition of minced meat (beef or pork). In many parts of the world, 'spaghetti bolognese' has become a popular dish, though it bears no traditional resemblance with the ragù alla bolognese. People from Bologna often refer to this as a 'crime against ragù'.